Continuous integration and delivery built for speed and simplicity. 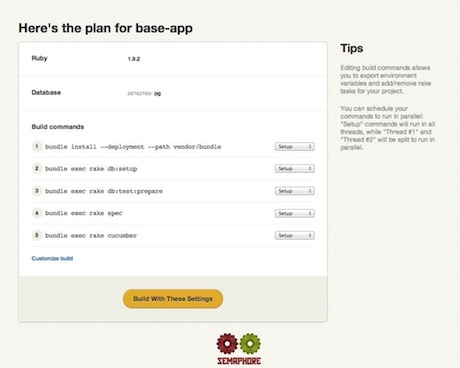 Semaphore add-on is an add-on for providing Semaphore service to all Heroku users. 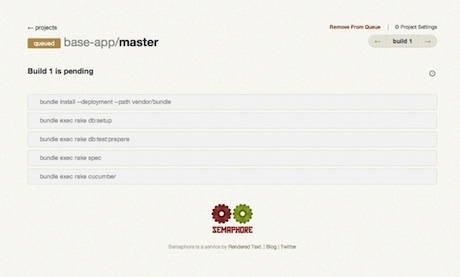 This document provides all the information you need in order to use Semaphore with your application hosted on Heroku. You can reach Semaphore via your Heroku application’s resources page or via heroku addons:open semaphore. 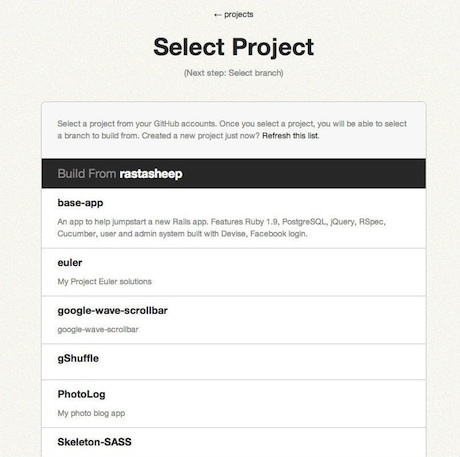 Choose whether you’d like to build from a private or public repository on GitHub. 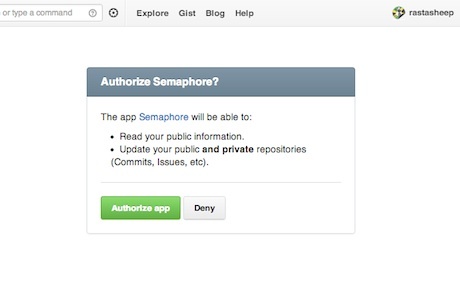 Now you can authorize Semaphore to access your GitHub account. Select the project and the first branch that you want to build. Semaphore will analyze your project and present you a suggested configuration and build commands that will run every time you push to the selected repository. If necessary you can change the version of your language runtime or build commands at this step. 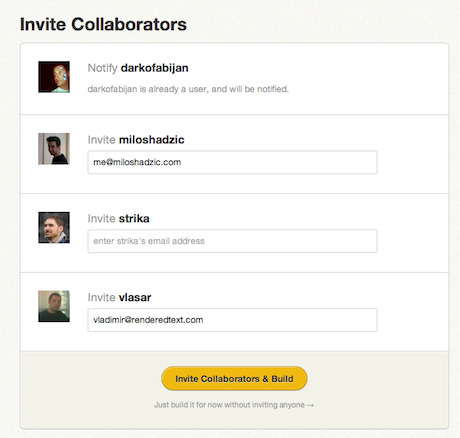 If your project has collaborators on GitHub, you can invite them at this step. Enter their emails and invitations will be sent. After they have signed up, the project will be available on their dashboards. You can also skip this step and start your first build. At this point, setup is complete and your build will begin. You can watch its’ progress live or come back and view the logs later. 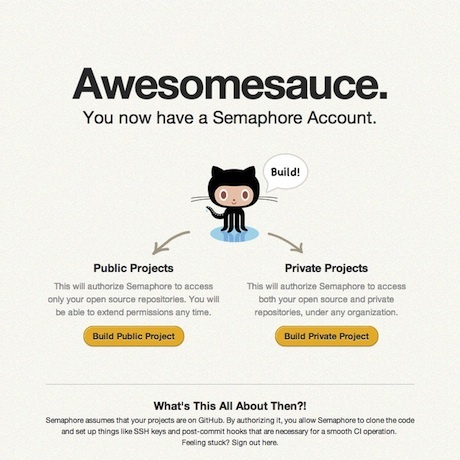 Semaphore will automatically test your application every time you push to GitHub. New branches will be detected and built automatically. After the build is finished, you will receive an email about its result. You can change or set up new notifications in your project settings, Notifications tab. From now on you can also watch the build status of your project on the Semaphore dashboard. For more information about Semaphore visit semaphoreci.com and Semaphore documentation site.